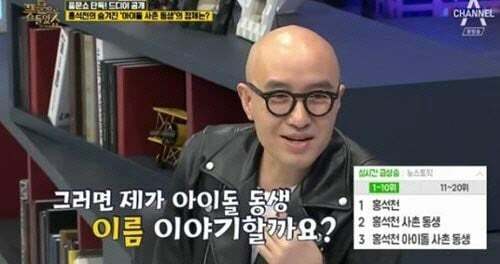 Hong Suk Chun finally revealed the identity of the rookie idol star he's related to. Hong Suk Chun stated, "I didn't reveal it on other shows because I wanted to save it for 'Heard It Through the Grapevine'. (The idol I'm related to is) Taeyong�the most handsome member of NCT." He added, "I have never met him but I hope we meet comfortably one day."